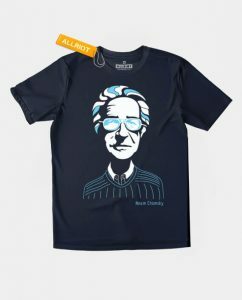 Pennsylvania’s political prodigy, Noam Chomsky, is one of America’s most exemplary scholars and active voices against the military industrial complex. A master of many subjects ranging from linguistics and to human rights, anarcho-syndicalism and geopolitics, he is one of the World’s leading thought criminals. 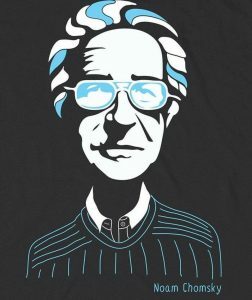 Events after 9/11 pressed him to reveal the nature of contemporary authoritarianism and the advancement of neoliberal capitalism, which continues to ravage the world today, especially the Middle East. 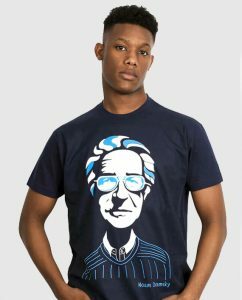 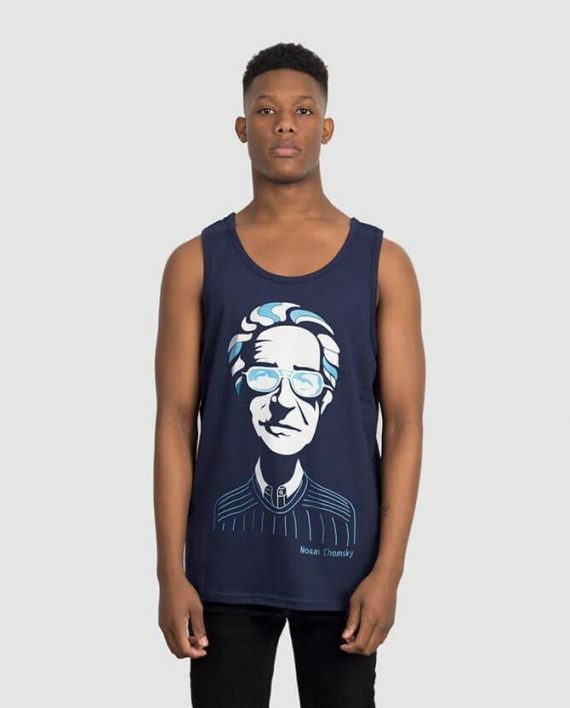 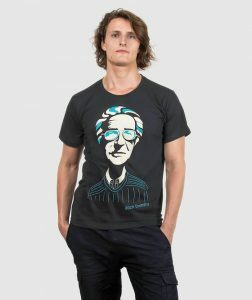 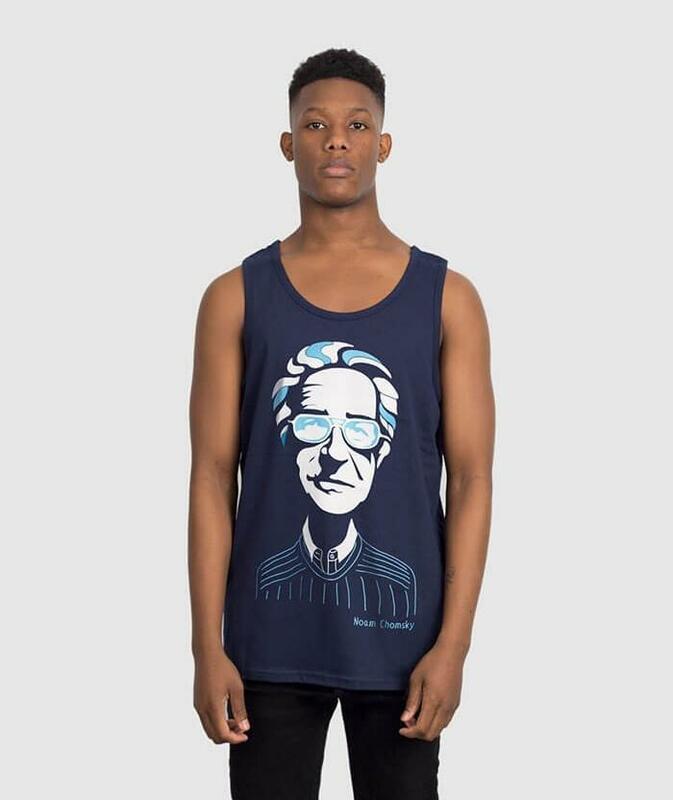 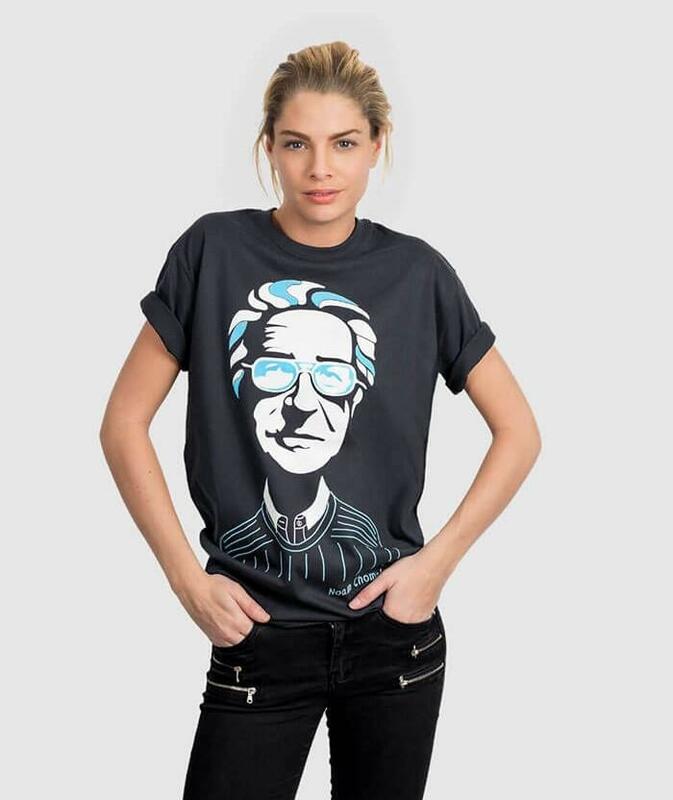 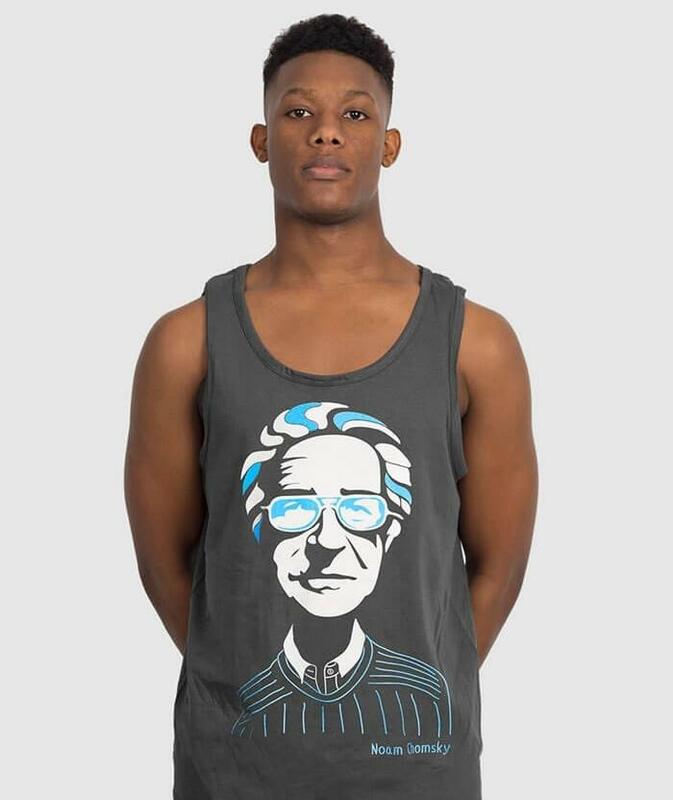 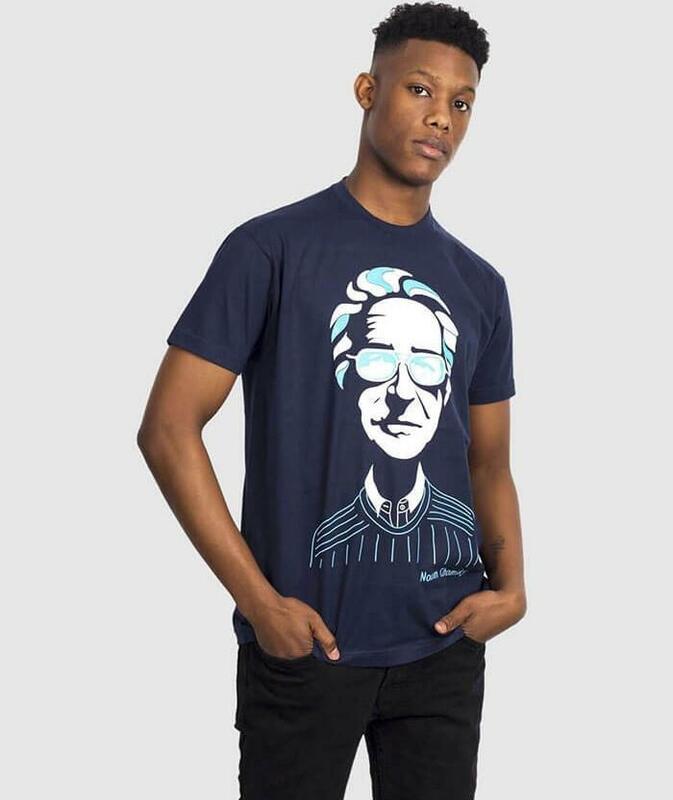 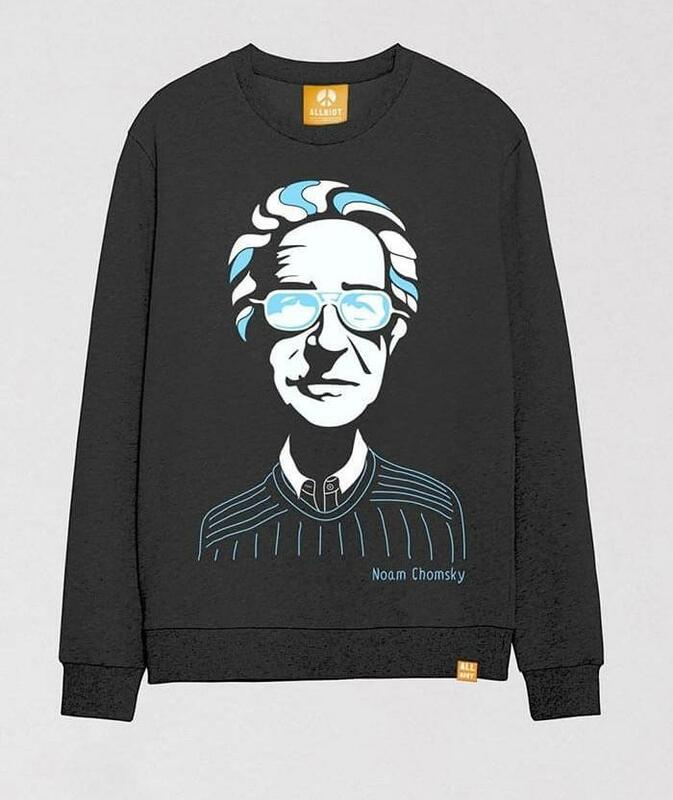 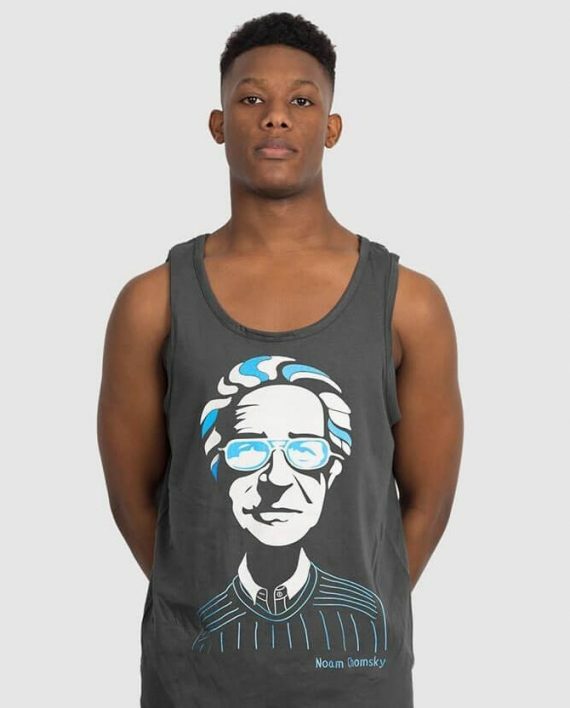 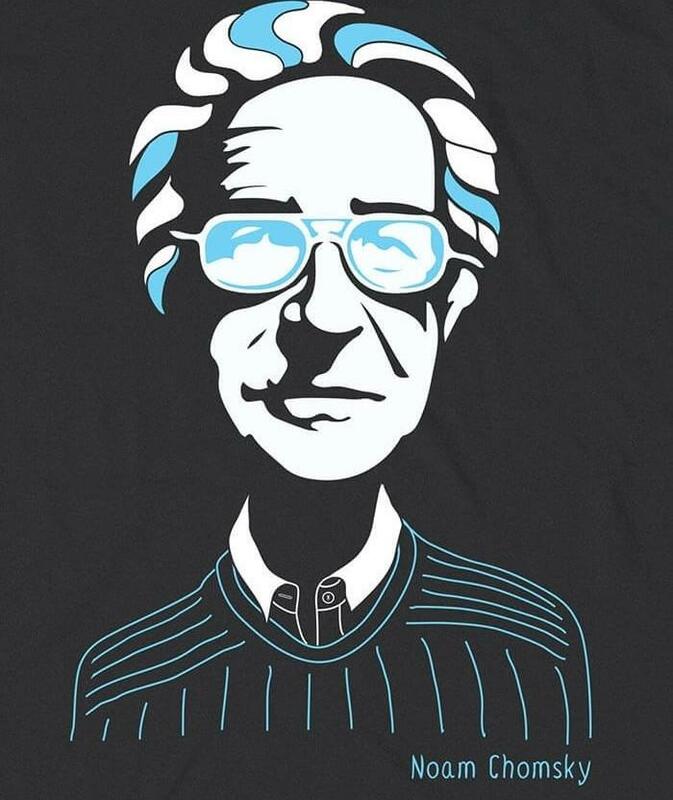 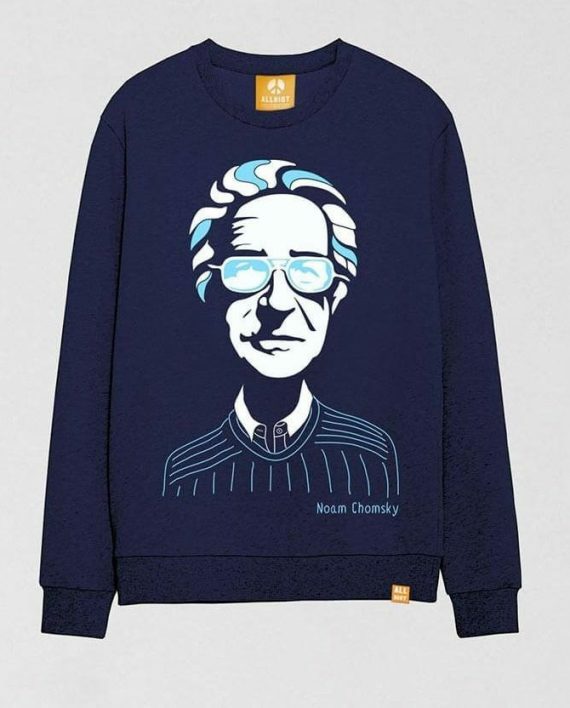 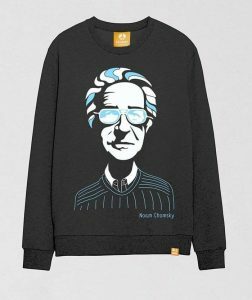 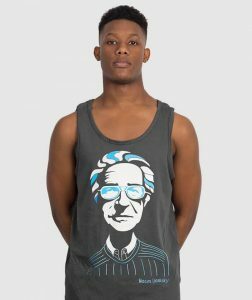 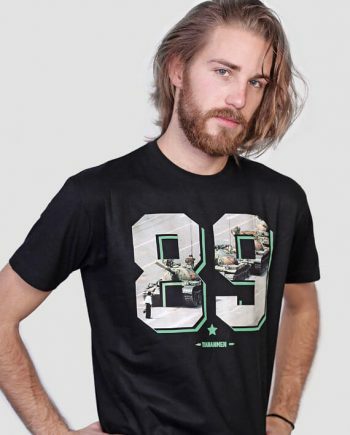 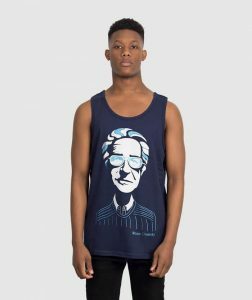 Our amazing new Noam Chomsky t-shirt features a large stencil print of MIT’s most prolific thinker. 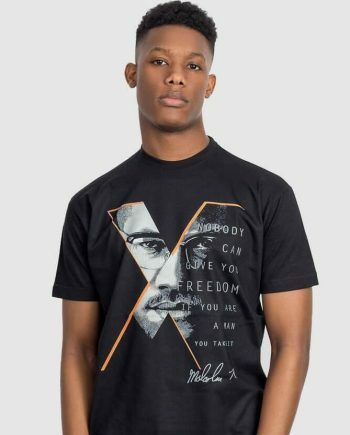 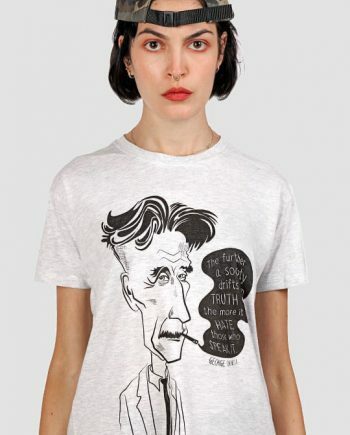 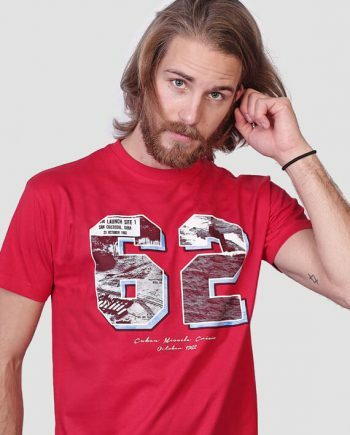 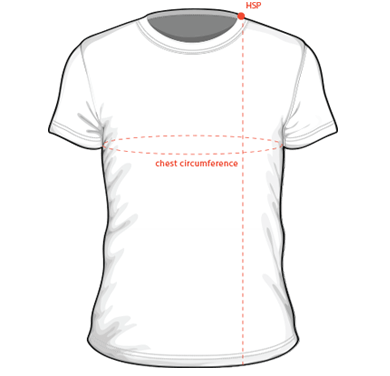 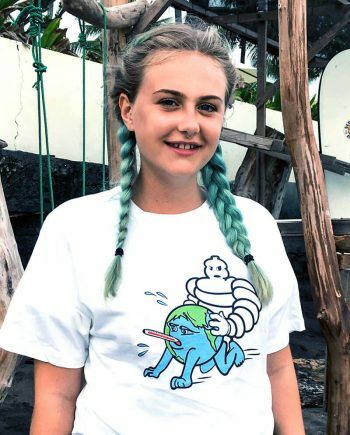 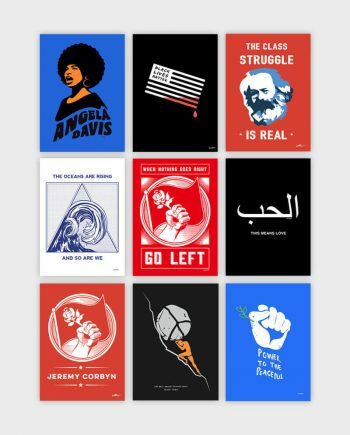 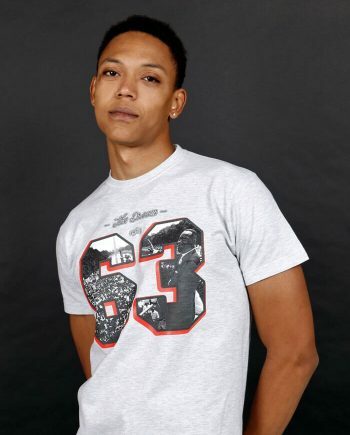 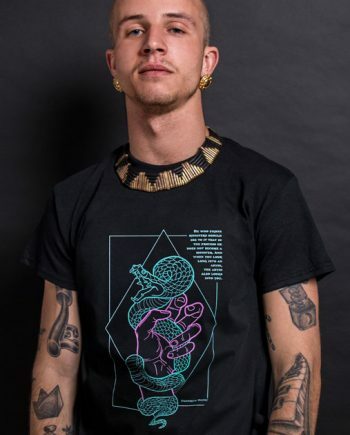 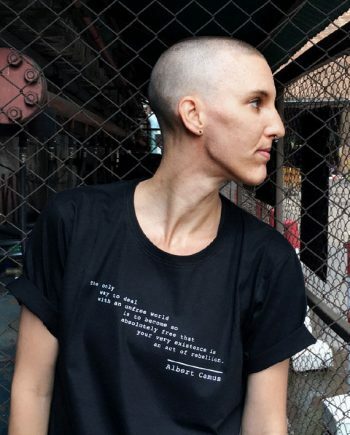 These t-shirt designs pay tribute to a curated list of awesome individuals and give each one a characteristically abstract depiction, demonstrating that it is their ideas that have come under the judgment of the courts of (in)justice.